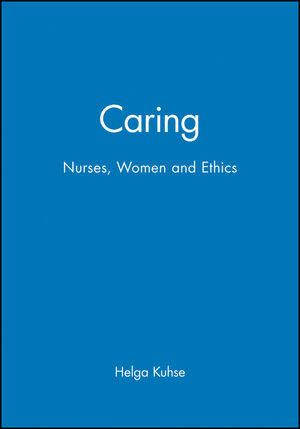 This volume provides a critical introduction to contemporary attempts to base nursing ethics on a feminine 'ethics of care'. Helga Kuhse is the Director of the Centre for Human Bioethics at Monash University, Australia. She has published widely in the field of bioethics and is editor of Monash Bioethics Review and, with Peter Singer, co-editor of the international journal Bioethics. 2. A History of Subservience. 3. Advocacy or Subservience for the Sake of the Patients?. 5. Women and Ethics - Is Morality Gendered?. 6. Care Versus Justice : An Old Debate in New Clothes?. 7. "Yes" to Caring - but "No" to a Nursing Ethics of Care. 8. Just Caring at the End of Life. 9. Nursing - The Slumbering Giant. * Links the history of nursing and of women to contemporary developments in ethics. * Provocative intervention in contemporary debates about voluntary euthanasia and assisted suicide. * Provides comprehensive critique of the "Ethics of Care".